There are many benefits to adding telepsychiatry to your community mental health service offerings. We have had the opportunity to help a few agencies build these capabilities recently. It is something we are happy to do, and thought it is worth sharing the basic steps to getting started. For psychiatrists, working in community mental health is a convenient and meaningful experience. Sites Professionals makes it easy. The need for qualified psychiatric coverage in community mental health is great. Their clients are deserving and in need, yet are dramatically underserved due to social and economic factors. Thanks to everyone we met at the Southern California Psychiatric Society Career Day on 12/8. We look forward to working with you. On a related note, we have several new positions available here, in a variety of treatment settings and populations. Looking forward to a terrific new year, we wish the best to you and your loved ones. How do you provide good care in the system of mental health? We (Nancy and I) have experienced the workings of mental health services in California from a number of angles. We have seen it from the perspective of administrators, as a practitioner (Nancy), and as vendor/consultants via Sites Professionals. Our work with Sites Professionals has only broadened our understanding of the complexities of providing good care to clients. Adding a day or two to your psychiatric practice is easy with Sites Professionals. We will sit down with you to get to know your goals, interests and areas of focus, in order to identify placements that match what you're looking for. We may even have suggestions you hadn't considered. From there our role is to make your placement a success, by any means. From credentialing and help during the on-boarding process, to continued technical and administrative support for the duration your placement. We work with organizations attending to those in greatest need. By working with us you'll find it easier to help the underserved as a part of your practice. The Controlled Substance Utilization Review and Evaluation System, also known as CURES 2.0, comes from California’s Health and Safety Code Section 11165.1. Effective Oct 2, 2018, all doctors, prescribing schedule II, III and IV to patients for the first time must consult the CURES system no earlier than 24 hours before prescribing (or the previous business day). They are also required to check the CURES system at least once every 4 months thereafter if the controlled substance remains part of the treatment plan of the patient. We have years of experience in the field of community mental health in California. Whether you are looking to add 1 day or 5 days to your practice, Sites Professionals makes working with at-risk and underserved populations a seamless and rewarding experience. We do this by vetting the agencies and practitioners we work with and carefully matching you based on your skills, experience, and requirements. When you work with us, you have our full support. The benefits of using telepsychiatry are many. Sites Professionals will help you with everything you need to get set up in no time. With clients waiting for medication services, are agencies being flexible enough to attract and retain top psychiatrists? There are many varieties of staffing, recruitment and locum tenens businesses out there. Most of these businesses take advantage of inefficiencies in the market by casting a wide net and failing to sufficiently vet and match mental health agencies and practitioners. They also provide little to no additional support during the placement. Sites Professionals puts a tremendous effort into matching qualified candidates to excellent agencies. We work in partnership with practitioners and the medication support team for the duration of placements. The people in greatest need and those most able to help are not frequently neighbors. In a sprawling and traffic-plagued region like Southern California, it can be especially difficult to assemble a team of psychiatric practitioners. Long commutes are often a barrier to otherwise qualified and well-matched individuals. There are ways around this. One of those ways is to use telepsychiatry. Hello there! We haven't updated our news feed in a while because we've been busy adding a new Jobs Page with current listings and putting together a video series for our Practitioner and Agency FAQ pages. Check them out when you get a chance. Don't forget to connect with us on LinkedIn. Cheers! In this video we offer some thoughts and pointers for navigating paperwork and building a great support team in community-based mental health care. We, Nancy and Jeff, have been involved in community based mental health care in Southern California for over 15 years. Our careers followed a path familiar to many in the industry. With bachelor's degrees in psychology we began as front line staff in a residential treatment setting for juveniles. We both worked our way up to leadership positions, earning master's degrees along the way. Jeff earned a master's in business administration and ventured into entrepreneurship. Nancy earned a master’s in clinical psychology and became a Licensed Marriage and Family Therapist and continued to practice as her career advanced. There are three components to being customer oriented, and each must be attended to. They are: Who are your customers? What do they need? What are your distinctive competencies capable of servicing those needs? In the case of most psychiatric practitioners, ‘customers’ includes patients, mental health treatment agencies, and the public or private sources of funding; each of these with distinct and changing needs. This creates a moving target for practitioners looking for new opportunities. Furthermore, the experience and education that comprise a practitioner’s distinctive competencies represent a significant investment and are not easily adapted to drastic change in the industry. Do your homework and diversify. The pace of change in the field of mental health can be disorienting. It is an industry tied closely to the whims of public policy makers and influenced by public perceptions. Reimbursement rates fluctuate. Rules for access to care are continually tweaked and amended. News of epidemics, such as homelessness and opioid addiction, spur public action that bring both opportunities and challenges to mental health care providers. Change is to be expected in any industry. When it occurs, it becomes clear that some businesses have better positioned themselves than others to deal with it. But how? Is it luck? Probably not. Sites Professionals simplifies the process of matching and placing you with local agencies, so that you can have an impact in the areas of greatest need. The advantages of working with us include finding flexible assignments in the areas of focus that most interest you. We know that you can provide the best care to patients when the work is closely aligned with your passion and you are not overly burdened by the administrative processes that come along with it. Working with Sites Professionals, whether to work a couple days a week or to find a new full-time position, gives you the benefit of 24/7 support from a team with expertise in the laws and processes of mental health. You set your rates, hours and availability. Let us take care of the rest. There’s much discussion these days about burnout, particularly among physicians and psychiatrists. Medscape and the American Psychiatric Association recently published and discussed a survey indicating 40% of MDs are experiencing some level of burnout. It’s safe to say that this problem is not limited to doctors. It’s common for people at all levels in the field of mental health to have had feelings of burnout from time to time. The complexities of the helping field only complicate a profession that requires you to be emotionally present on a daily basis. The challenges of bureaucracy and paperwork only make matters worse. Self-care and maintaining a healthy work culture with empathy are essential to alleviating burnout in your team. No. Sites Professionals performs or enhances work essential to a functional psychiatric services program. We personally recruit and place psychiatrists and other practitioners with mental health providers. Sites Professionals remains committed to the successful deployment of practitioners by making sure they are prepared, and have the knowledge and passion for community-based mental health. We provide hands-on support for the duration of our placements. 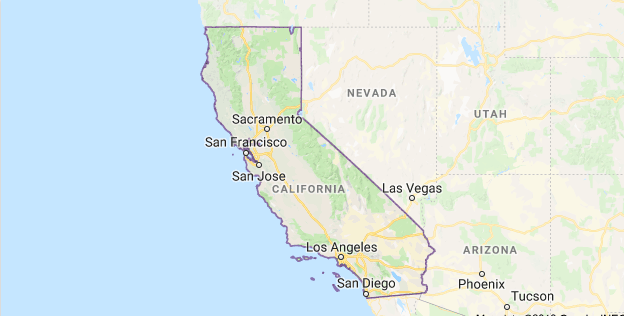 We are focused on Southern California, where we know what it takes to run a psychiatric services program effectively, and where we can have routine in-person meetings and introductions with our clients. Working with Sites Professionals to staff and support your organization’s psychiatric services has benefits beyond just the recruitment and placement of practitioners. We help provide insight into the best way to build and utilize your medication support team for better client care and efficient billing and reimbursement. That is why we get to know you with in-person meetings and frequent contact. We are big believers in the value of community-based care, and buying into your mission allows us to find terrific matches for your staffing needs. Working with Sites Professionals to fill your psychiatric staffing needs usually follows just a few steps. We personally get to know your agency to make sure we’re a good fit for your recruitment needs. Once it’s decided we are a good match, we sign an agreement. Then Sites Professionals identifies appropriate candidates from our network of providers and we arrange a face-to-face introduction between them and your team. Once you accept a practitioner the deposit is due, followed by a signed Assignment Confirmation letter. The placement then commences. Most of our placements are for a period of 12 months. Six-month placements are available in many cases. At the conclusion of the placement, the agreement can be renewed, terminated, or in many cases there is a buyout option. Thank you to everyone we met yesterday, and to the Southern California Psychiatric Society and Didi Hirsch for hosting Career Day. "[The] study revealed that 55 percent of counties in the continental U.S. do not have any psychiatrists. Another study concluded that 77 percent of U.S. counties had 'severe shortages' of psychiatrists and other behavioral health providers." Sites Professionals is based in greater Los Angeles, and we specialize in servicing the state of California. Sites Professionals is a Los Angeles County DMH Authorized Vendor.